The consulting industry is highly fragmented with various consulting firms, ranging from the global strategy consulting firms to a large number of independent consultants. In addition to this, the differences in size and scale, there exists a wide variety in the positioning and differentiation of the various consulting firms making it difficult to choose the one for your business needs. There are many reasons to why businesses hire consultants; it could be to solve an issue within the company, or want an unbiased opinion or because it doesn’t have the resources to address the matter internally. Consultants offer a way to solve the problem without costing a fortune. However, choosing the right consultant is essential and here are some suggestions to help you make the best decision. When looking to hire consultants for your new business startup, always define what kind of assistance you would need from the starting. For instance, do you need strategic planning to set your course for the future, executive coaching to increase effectiveness and leadership capacity and assessments to reduce turnover and improve performance? In addition to this, be very clear about your business objectives, desired outcomes and timeframes. As you are looking for results, so be very clear on what your expectations are. When looking to hiring a consultant, experience matters the most. You can easily learn a lot about the firm based on how they pitch you. The best consulting firms like the TR Consulting Group and other such firms care about your time. They won’t waste your as well as their time by initially presenting you with senior members of their team but using less experienced consultants to do the actual work. Whoever presents to your company at the beginning should also be whom your organisation works with, in the long run. It would help if you always asked about whom they have worked with and how successful the project was. Some consultants might be great at pitching clients but have no track record of success. That is why it is essential to speak about the firm’s prior experiences and whether they have worked with the organisation with an issue similar to yours or with an organisation of your size. Always ensure that the firms you’re interviewing can refer you to past clients who can confirm a successful project. Actual client references will help you determine which consulting firm can address your issue more efficiently. A good consulting firm should be communicative. The consultants should possess unusually strong communication skills, both orally and in writing. Of course, communication is a two-way street, the most important part than the consultant’s ability to speak fluently and write eloquently is the ability to listen. However, no matter how smart a consultant is, she or he won’t be able to help improve your business until they fully and completely understand the challenges you face. This will happen only if the consultant listens to you with concentration. Business owners generally hire consultants when they cannot afford to build out a full team. So cost should be important when determining which consulting firm you want to work with. You would want to work with a firm that provides adequate services at reasonable rates. Determining a reasonable cost requires more than just finding the cheapest vendor. A consultant who is more affordable but takes longer time to reach your goal may be more expensive than a consultant who achieves your goal more quickly but with higher bill rates. Whatever level of experience your consultant has, you should keep your budget in mind when speaking with different firms. Moreover, you want to work with a consulting firm that intends to solve all your issue without dragging the contract on for too long. Good consulting firms will propose an end date for resolving your company’s problem that doesn’t extend indefinitely. 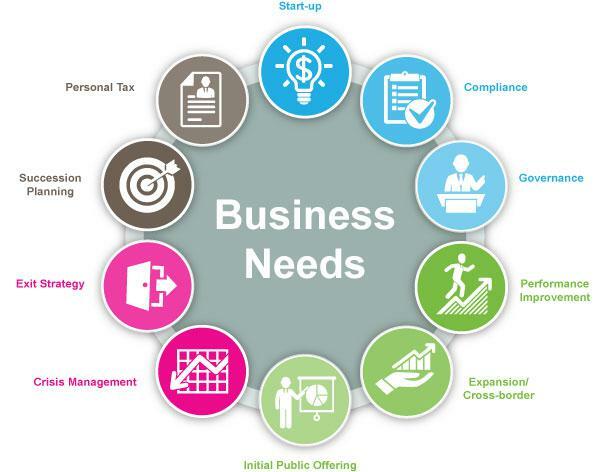 With these points in mind, you will be able to hire the best consultants for your business needs. If you’re looking for a Startup or Small Business Consulting firm for based out of India, you may also want to look at StartupFlux. They offer end to end business and technology solutions for your needs. What Types of Services are offered by Asphalt Car Park Construction Contractors?